Welcome to Fun Times Bounce House Rentals! We appreciate your interest in our products and service! We proudly deliver to Winter Garden, Clermont, Windermere, Ocoee, Montverde, Minneola, Groveland, Four Corners, Davenport, Kissimmee & Orlando in the Central Florida area (Travel fees may apply). All of our equipment is cleaned and disinfected after EVERY use, some times even on the spot if the unit was rented the day before! 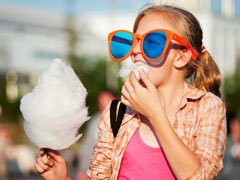 Count on us for every event that needs added fun for kids, teens & adults! 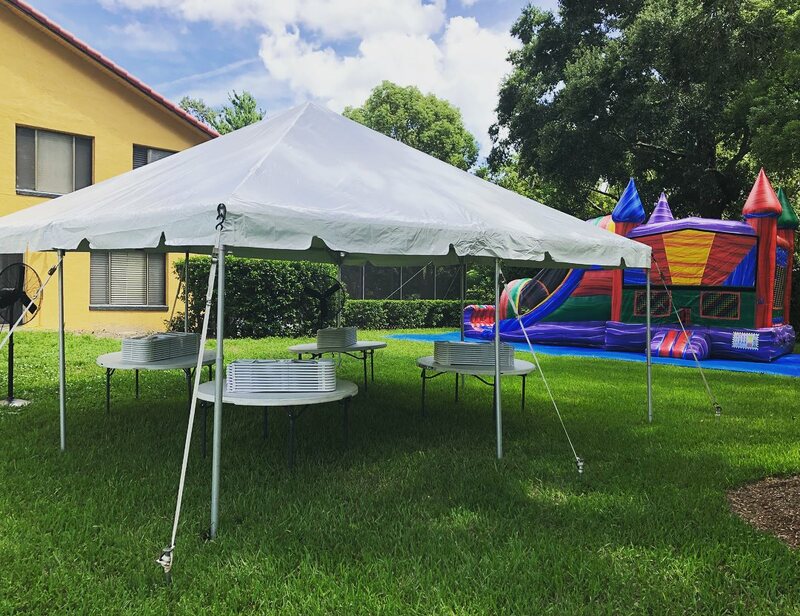 Including backyard parties, church events, baby showers, corporate events, school events, festivals and any other occasion that party rentals are needed! 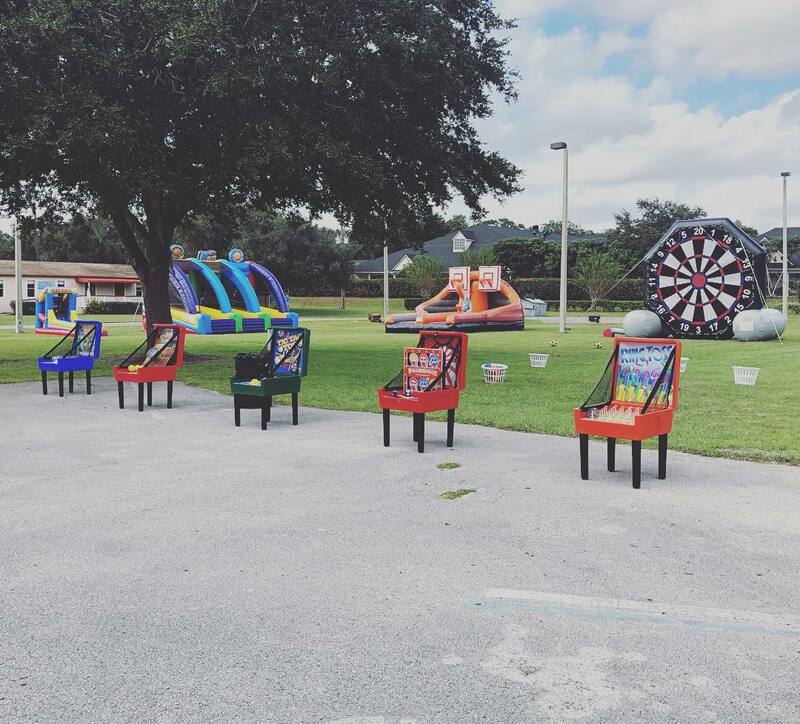 Fun Times Bounce House is fully licensed and insured by The Friedman Group and a preferred vendor for Orange County Public Schools as well as Osceola County Public Scools! We pride our self on Safety, Quality and Service! Our Google, Facebook and Yelp 5 star reviews can tell you that we take this very seriously! We offer first class commercial inflatable bounce house rentals, water slides, obstacle course, interactive game, concessions, tents and tables & chairs rentals! We are a small family owned & operated business and are fully licensed and insured, always on time and offer the best quality & cleanest units around! Look! Our newest combo has a true TROPICAL THEME! Includes a bouncing area, basketball hoop inside and a mini climbing wall that leads into an awesome dry slide! "Surfers Cove" combo bounce house offers bright, vibrant MARBLE colors that set a tropical scene for your event. 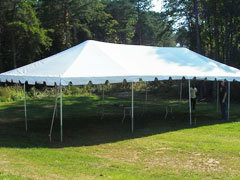 See all our exciting combo bouncer rentals here! Introducing our new huge water slide: "Big Blue"! Wow, this slide is a real eye catcher! The bright and vibrant blue marble material is stunning and majestic as the sea! This unit includes top safety features. 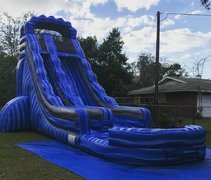 See all our giant water slide rentals here! We also have smaller slides including 15 and 20 footers in our inventory. Interactive Game Rentals from Fun Times will energize your next event! Our DUAL LANE SLAM DUNK CHALLENGE or 3n1 sports will entertain and challenge your guests. Pump up the excitement at your events today with Fun Times! 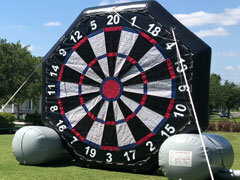 We have the best option for small or large interactive games to entertain your crowd. It's easy to book your reservation at BounceWithFuntimes.com! Click the "Start Here" button below to enter your event date and time. Doing this helps remove any items that are already booked for your date. Please browse our site and you will see our awesome options available on your date. Every product page has an "Add to Cart" button. Just click and go! 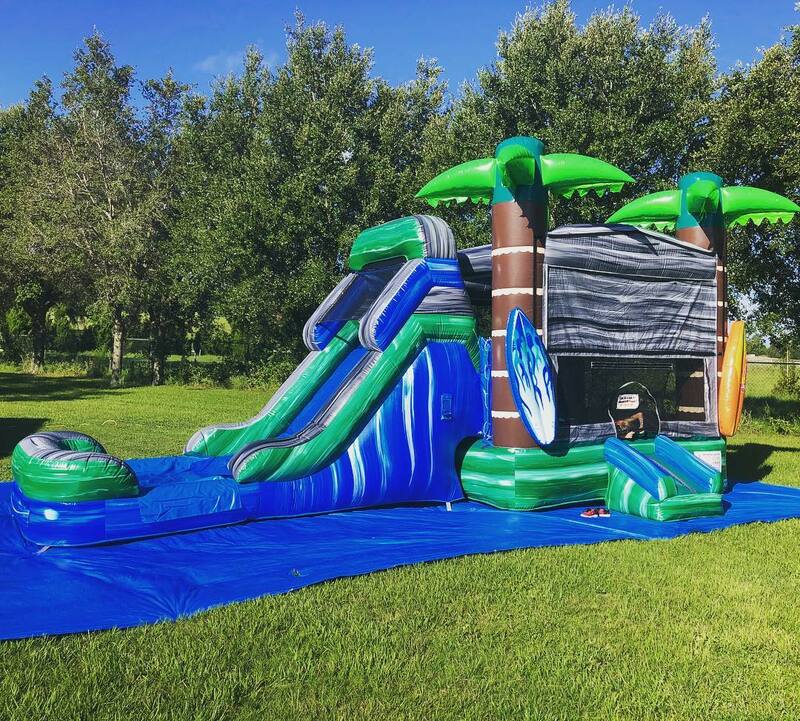 Fun Times Bounce House is proud to provide Winter Garden, Clermont and surrounding areas with the best selection of Inflatable Bounce House Rentals, Blow up Water Slide Rentals, Obstacle Course Rentals, Interactive Games, Tent Rentals and much more! Let Fun Times make this easy for you and carry the burden for your next birthday party, school, corporate or church event. 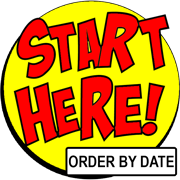 Simply add your items to your cart and check out and we will handle the rest! 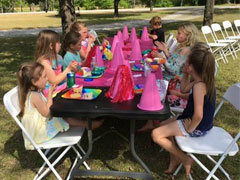 Explore Fun Times Party Rentals Below! 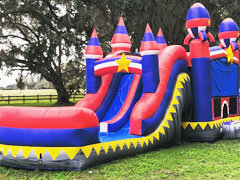 Here at Fun Times Bounce House & Party Supplies we specialize in Back yard Party Rentals, Church VBS Events, Festivals, Birthdays, Grand openings and so much more! 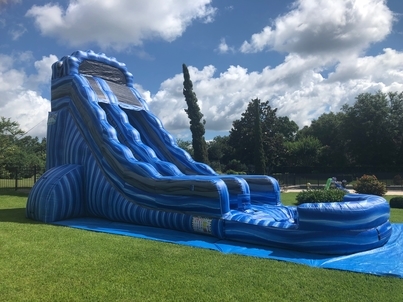 We love corporate events with multiple items and rentals just as much as back yard parties with one Bounce House rental at a time! Make sure to contact us for school and church specials if this applies to you! We pride ourselves on delivering your Party Rental Equipment on time, cleaned and sanitized, while priding you service that is second to none! Wether you order online through our booking system or call us to order, our service will always be world class because we appreciate your business and could not operate without you! 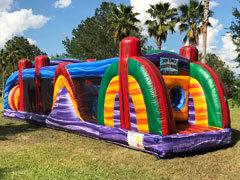 Fun Times Bounce House & Party Supplies offers a great selection of Inflatable Moonwalk Rentals, Inflatable Water Slide Rentals, Interactive Game Rentals, Chair and Table Rental, Concession Rentals, Tent Rentals, Obstacle Course Rentals, popcorn machines, sno-kones. Give us a call or reserve on-line and we promise a great time for you and your guests. We are a full service: delivery, setup to removal party rental company here in Central Florida, so you don't have to worry about a thing when it comes to party and event rentals. Book with us today and see what full service really means! It's important that you follow all the safety instructions that are given to you as well as reviewing the safety tab at the top of this page under the "FAQ" tab. Thank You For Choosing Fun Times! PROUDLY SERVICING WINTER GARDEN, WINDERMERE, MONTVERDE, MINNEOLA, CLERMONT, GROVELAND, MASCOTTE, DAVENPORT, KISSIMMEE AND SURROUNDING AREAS!! !